Keep the current cover photo, Julie. I love it! I think the current cover is just great. Stay with the batik. It is stunning! I love batiks, love the colors and I like it just the way it is. 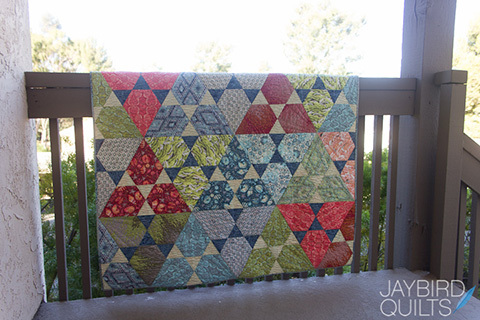 I'd keep the current cover....unless you just don't like it and want to go play with the other quilt to take it's picture. I would say keep the current cover. Something different for you is not a bad thing is it? 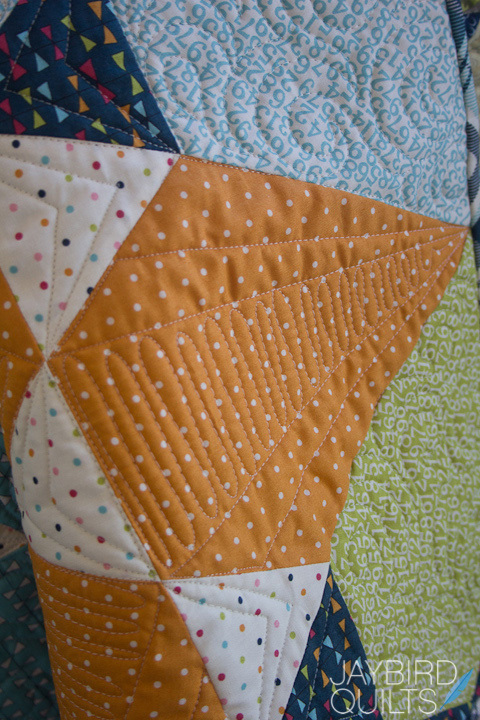 I really love all the quilts made with this pattern. If it is really bothering you by all means retake the photo. Only you know for sure. 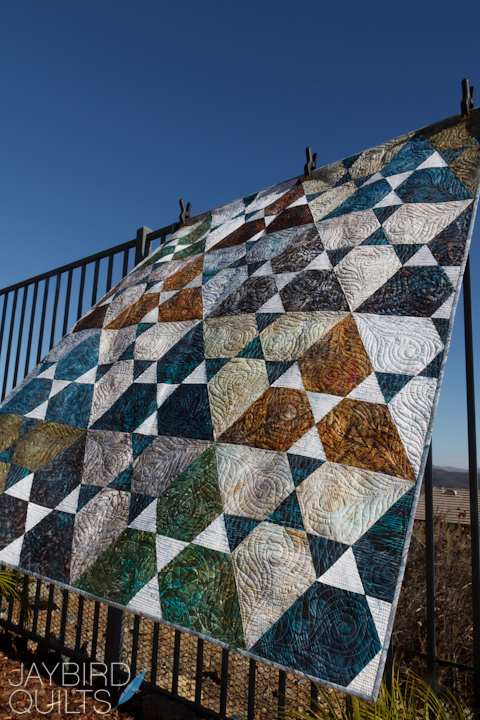 The original cover photo of the quilt in batiks, is STUNNING! I think the fabrics and pattern in combination are so different and sophisticated. 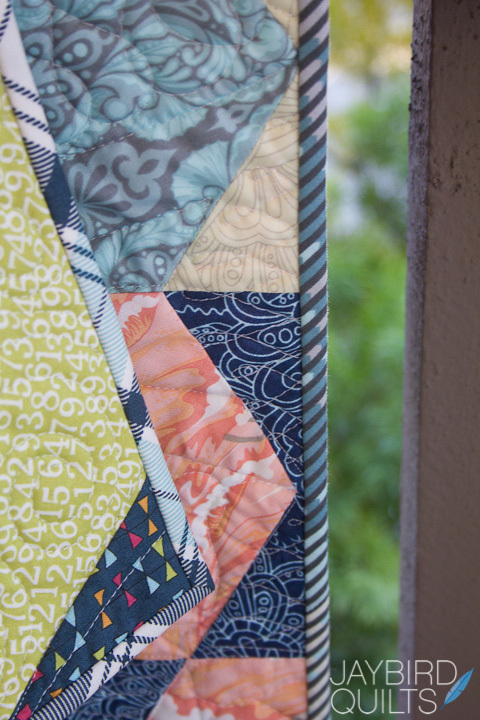 The version in prints is cute, but I love the batiks! Keep the current cover and on the back put a thumbnail size picture of an alternative color way made from Salt Water. 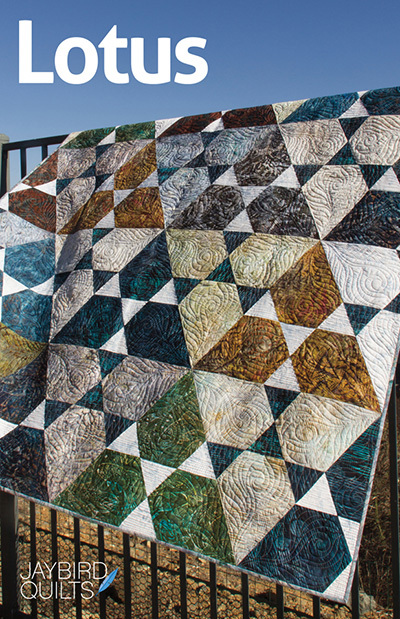 Although the current cover quilt isn't your norm, and I'm not a fan of batiks, I think it's an amazing cover quilt. I think using it as your cover opens you to a wider demographic. 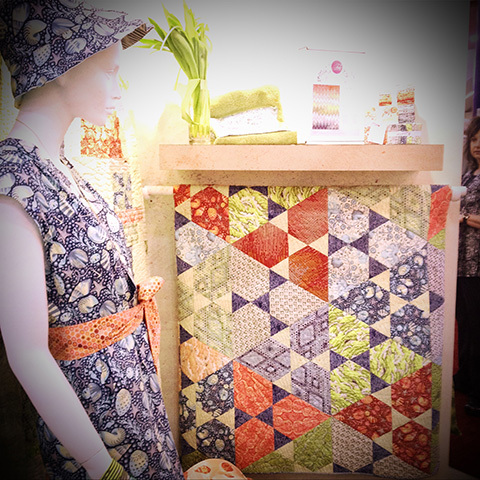 To show those who only use batiks that they can be used in modern designs and still look stunning. Keep the cover! I love the batiks ... I know they're not loved by everyone and for some reason aren't considered to be "modern," but they look fantastic. 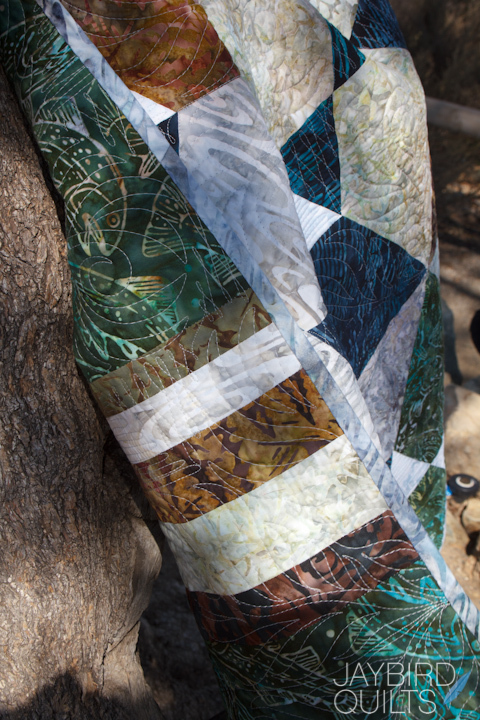 I like the suggestion above about putting a small photo on the back with one of the other quilts. 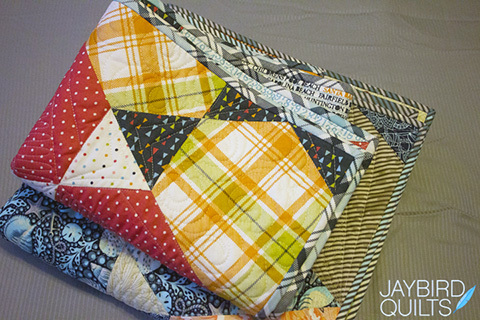 I was surprised to see a batik quilt on your cover but I think you should leave it. 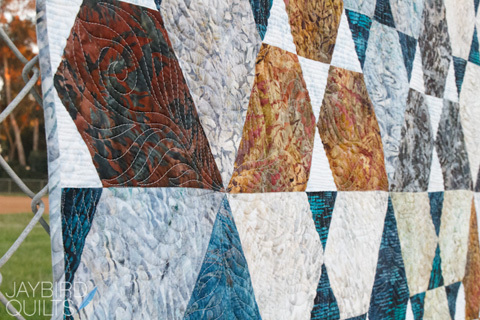 It is beautiful but moreso, I think it will reach out to a larger audience who might not see themselves as modern but will then open their eyes to the possibilities upon seeing this quilt - how awesome is that? 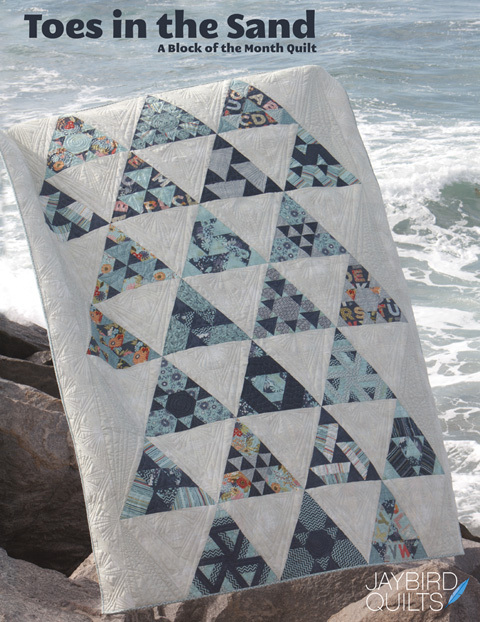 Love that Salt Water quilt and fabric and the baby quilt is awesome too. I think I want to add this pattern to my collection as well! The cover photo is my least favorite of the color schemes you showed us today, but that's because it's not ME, not because it's not YOU. Could you feature that one AND a brighter color scheme on the cover? Julie ~ While that cover night not necessarily 'feel' like you I think it's good. 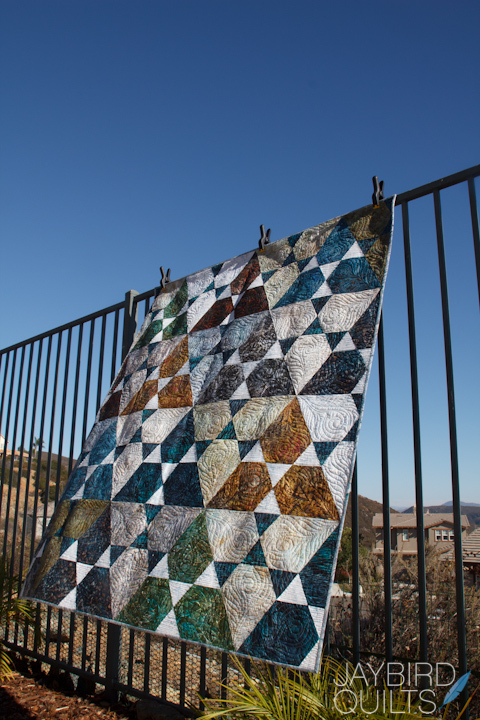 There are many quilters that like using batiks and more of the darker fabrics instead of the brighter (and what some might consider to be more modern? fabrics). 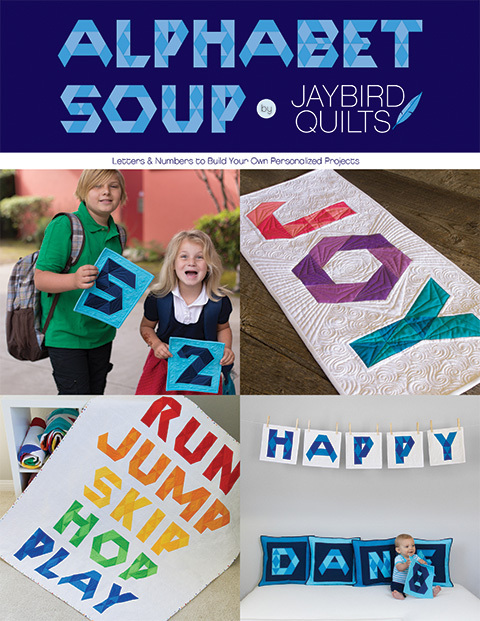 Some of them may not view a quilt pattern and think about making it using other fabrics. 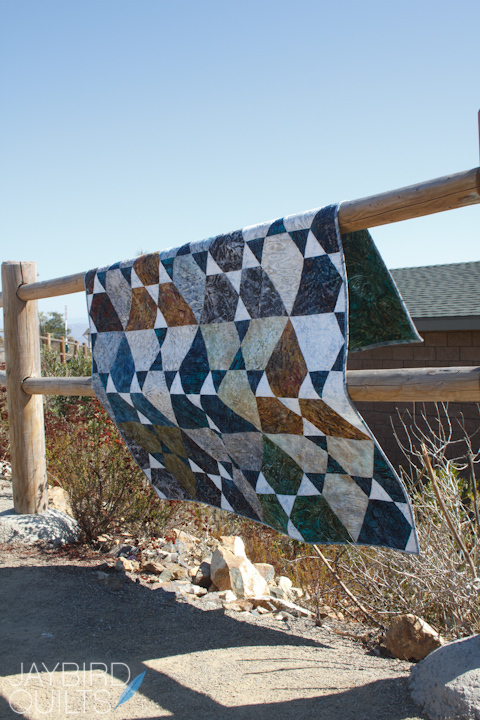 Having a cover using batiks I think very well might get some of those quilters see your pattern with this cover and want to make it. It might catch their eye. 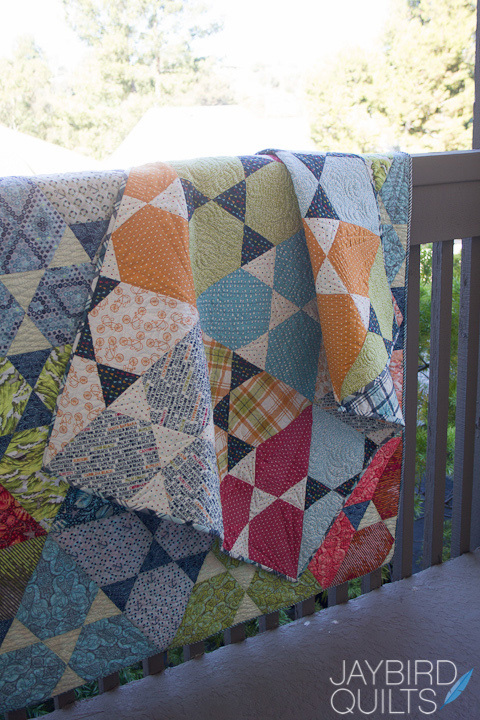 I know there are some colors I don't really like and when scrolling through patterns I tend to miss really seeing quilts done using those colors myself so anyone that doesn't like bright colors might do the same and only be looking for batiks on a cover. 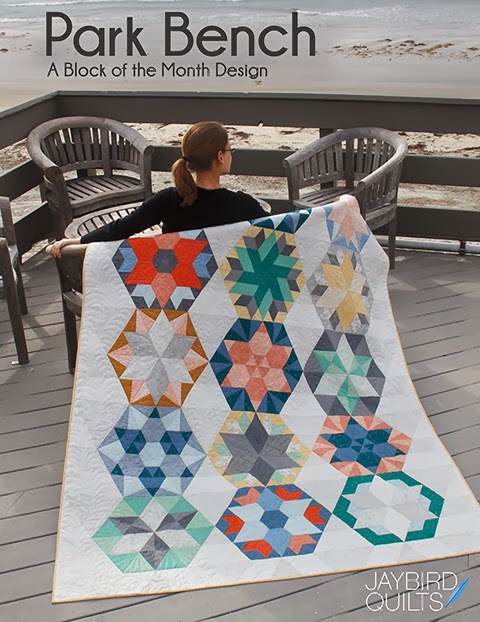 Aren't we as quilters supposed to be able to imagine patterns made of different fabrics? I have quite a collection of batiks and love them for what they are. I have moved on to more modern fabrics now but feel no need to get rid of my batiks. I like that you show options. 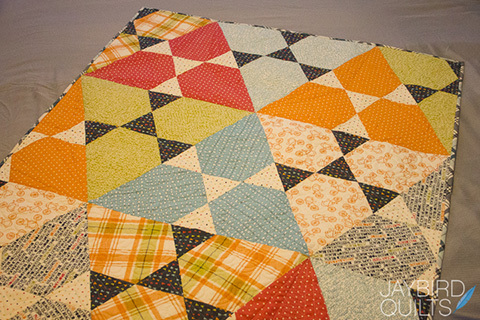 I like that you used a quilt that isn't your usual "style" on the cover. Maybe it will draw new people to your work especially those who like to use batiks. 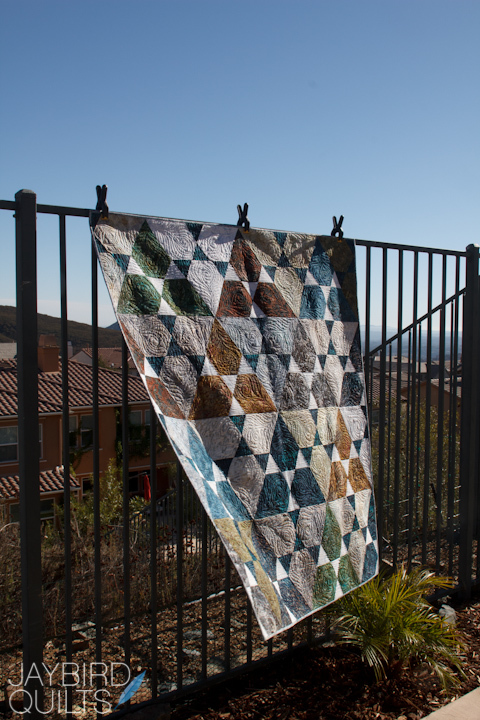 I love, love, love your Salt Water quilt. 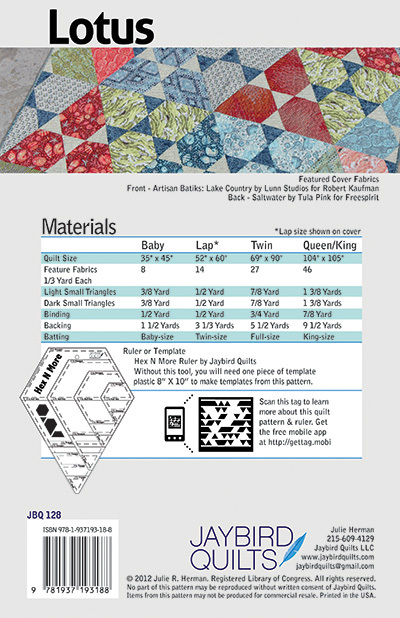 Your patterns are always perfect with Tula's fabric! I vote for the batik for many of the reasons above. 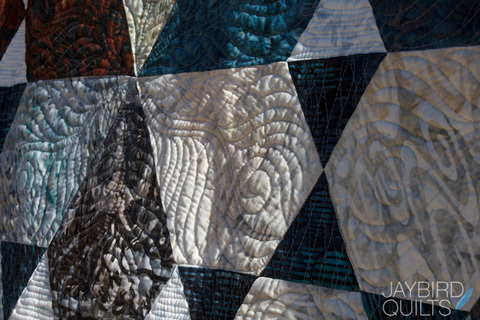 It widens the audience and draws in a different group of quilters. 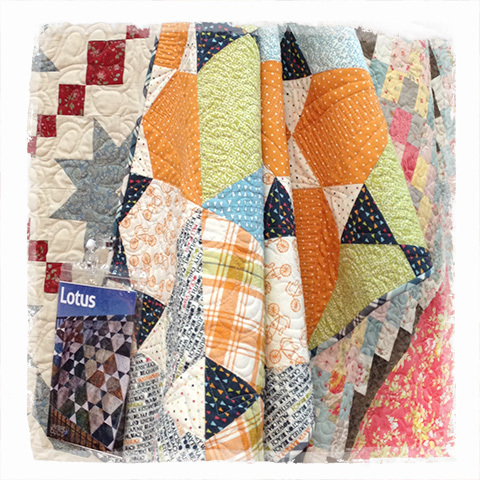 Lotus looks so sophisticated in the batiks, people who might never "see" a quilt in their living room will stop and think twice. 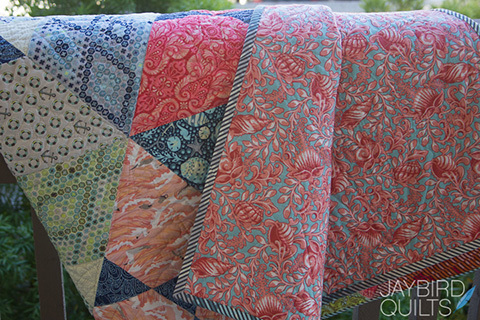 keep the batik quilt for the cover! it's the bigger, deeper you! 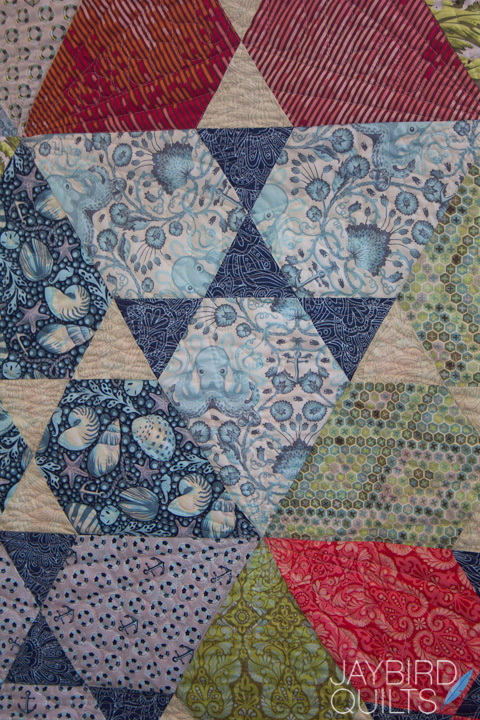 I just love the "Salt Water" by "Tula Pink" ~ it caught my eye and I just kept going back to it. 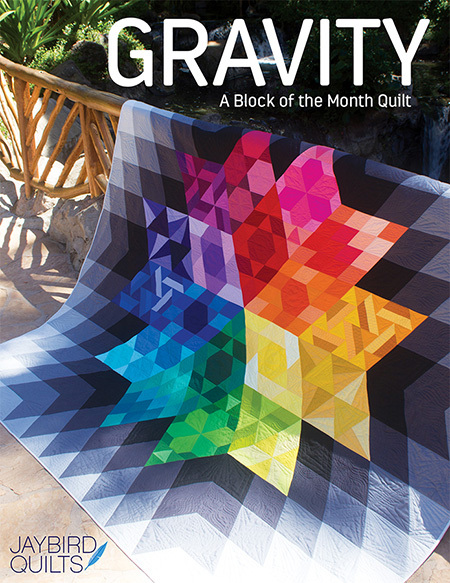 I like the current cover(quilt) very much. Please keep it. Because it is so different from the prints that you usually use perhaps that is a very good reason to keep the cover! 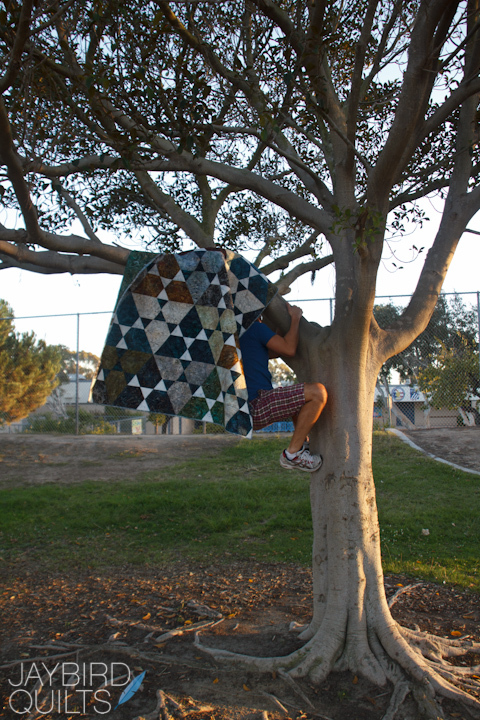 I do like all 3 quilts & again enjoyed the photo shot ~ keep those pictures coming! Keep the cover as it is! Your batik version of Lotus is absolutely wonderful!! 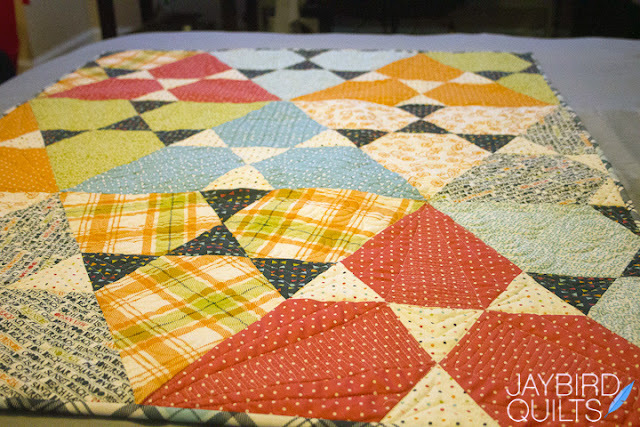 It may be different from the fabric choices you've made before, but thereby it shows the versatile talent that you are! 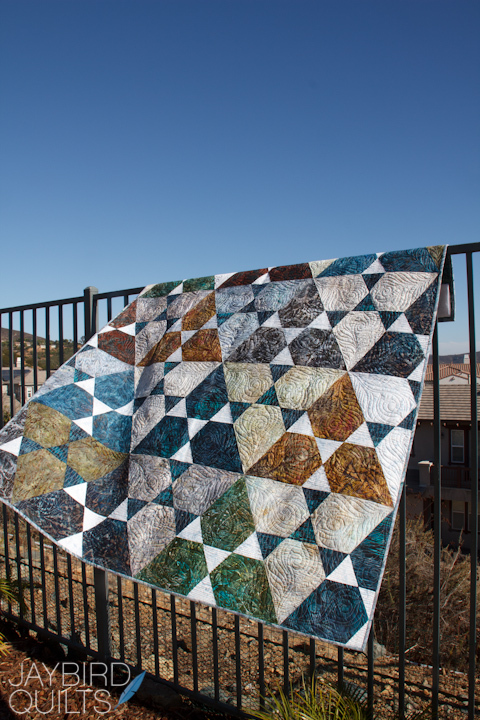 I love the batiks and don't like the salt water one at all. The batiks is so lively. Keep the current cover. It looks wonderful. 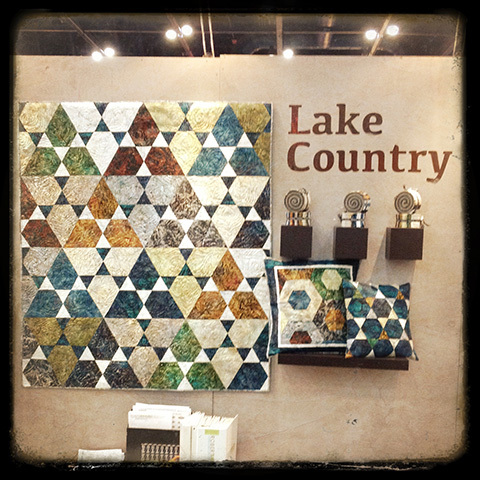 Love the batiks! 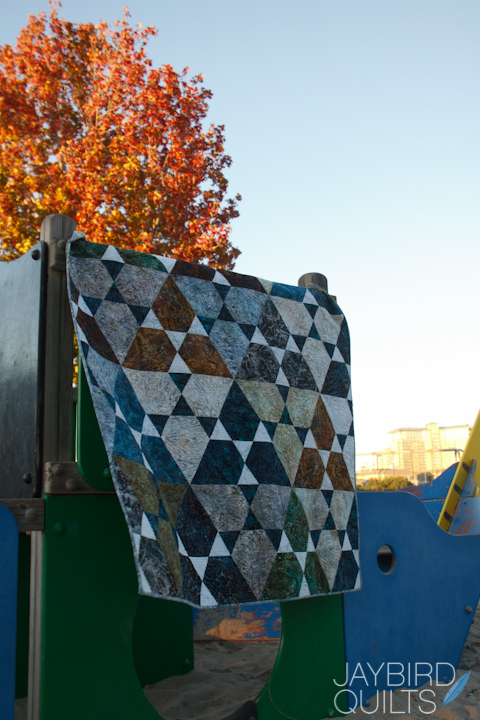 (Actually more than the colors in the other two quilts). We all need to do something different every once in awhile, right? Love the original, It is very eye catching, more so than the others, Stay with your original choice. Keep the original. Its beautiful, it shows you have greater range than those who say is your "usual" and, as a non-user/buyer of batiks, I'm inspired! I'm loving all your new patterns! 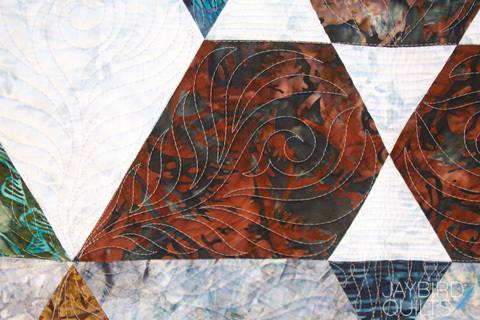 I honestly LOVE that pattern in the batiks! It looks great! 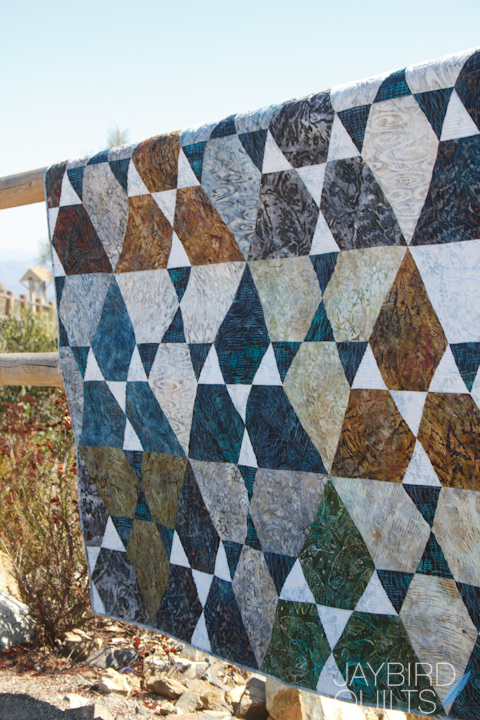 I usually prefer brighter colors & am a HUGE fan of Tula, but I think the batiks showcase that pattern a lot better! 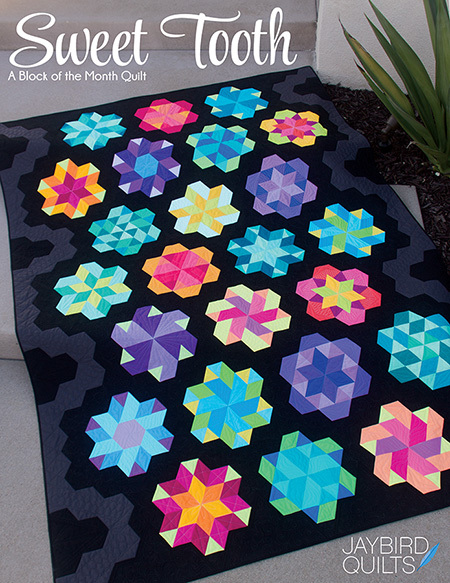 I just picked up my Hex & More ruler at my LQS & am starting on a hexie quilt! So far I am finding the ruler really easy & fun to use!!! I absolutely LOVE love LOVE !! Lotus. What a gorgeous pattern. I'm going to buy it for sure, and the ruler too! I recently got your ruler, when will the Lotus pattern be available? I can't wait to make it! 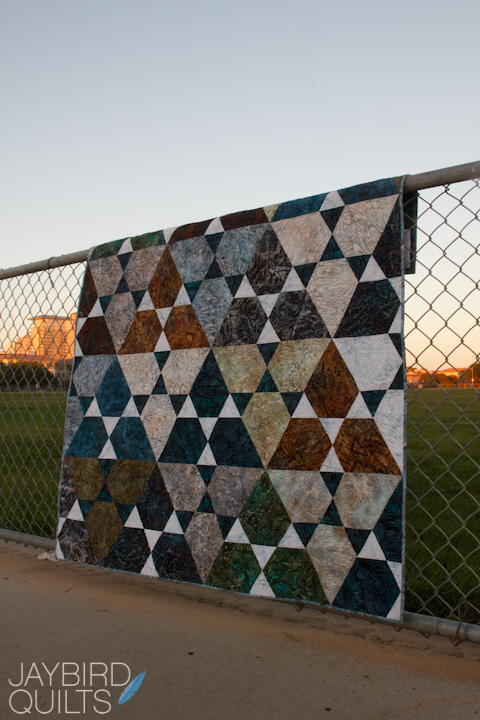 I think there's a negative knee jerk reaction to batiks in the 'modern' quilt movement. 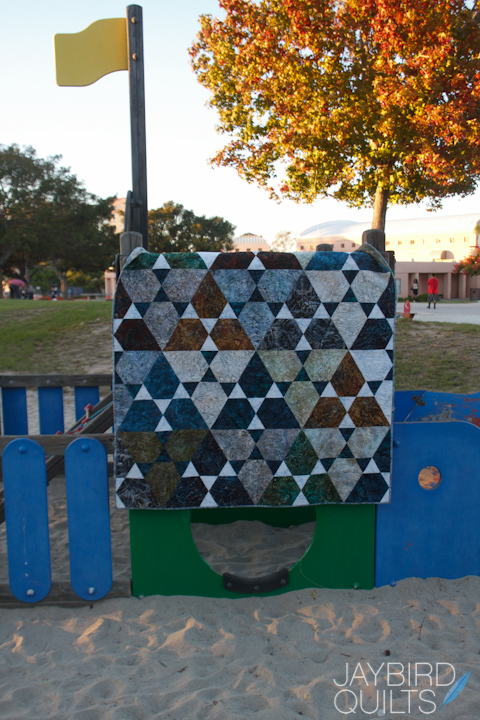 It may be because some good people over the years have done some horrible things to perfectly innocent batiks. 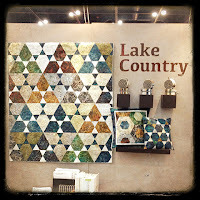 I've seen some gorgeous batiks but they are definitely not as common in the MQG circles. If you like the cover-keep it. It's about time we saw some 'modern' interpretations of batik. Maybe someone should start a Batik-A-Long. 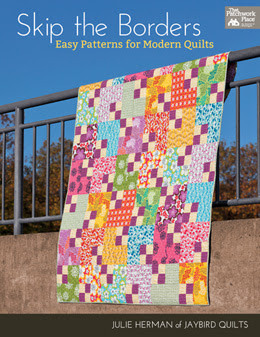 I love this quilt for the cover. 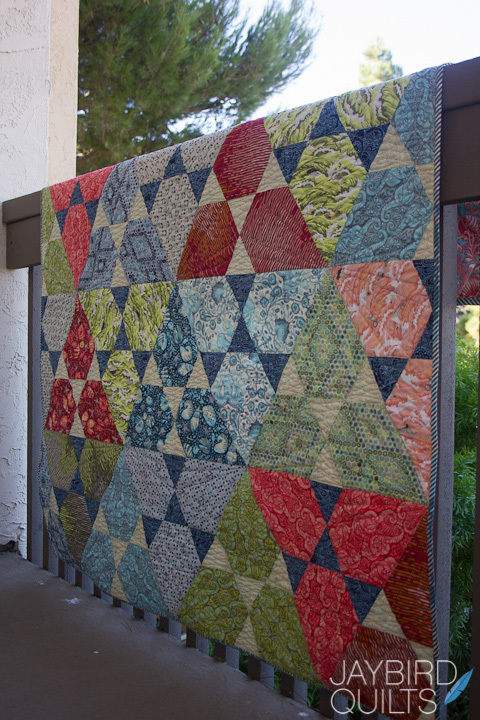 I love batiks and this quilt makes a wonderful statement.